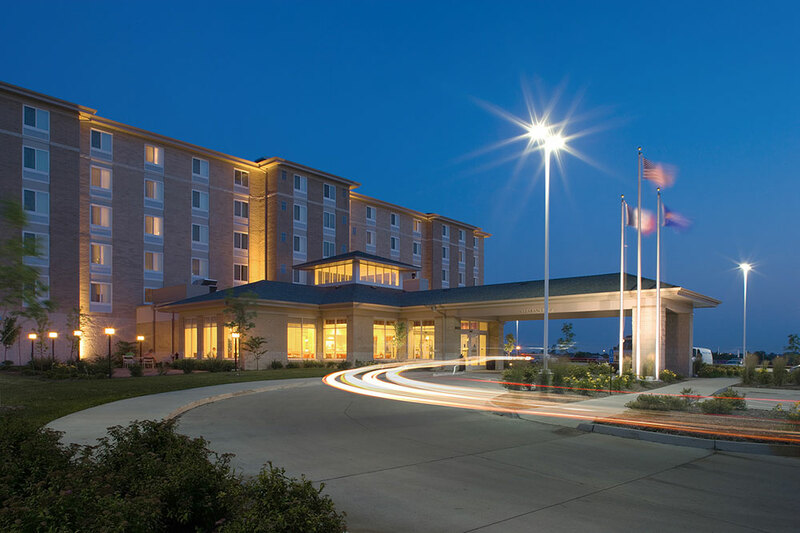 Offering quality accommodations and features, vibrant contemporary flair and a convenient location, Hilton Garden Inn, Des Moines/Urbandale is a top destination for business and leisure travelers alike. The hotel features 148 guest rooms and over 11,000 square feet of meeting space which can accommodate groups as large as 350. From corporate banquets to wedding receptions, our on-site team of planning professionals are available to take care of every event detail. The hotel is located off 1-80/I-35 in the northern suburbs, 20 minutes from downtown Des Moines and just minutes from the office headquarters for many area corporations.